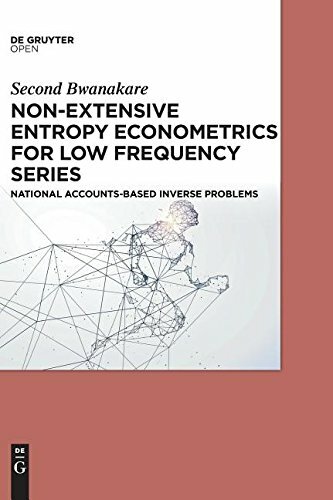 Non-extensive Entropy Econometrics for Low Frequency Series provides a new and robust power-law-based, non-extensive entropy econometrics approach to the economic modelling of ill-behaved inverse problems. Particular attention is paid to national account-based general equilibrium models known for their relative complexity. The book describes the new generation of discrete choice methods, focusing on the advances that are made possible by simulation. Researchers use these methods to examine the choices that consumers, households, firms, and other agents make. Econometrics is the study of estimation and inference for economic models using economic data. Econometric theory concerns the study of tools and methods for applied econometric applications. This is a first-year Ph.D. econometrics textbook.